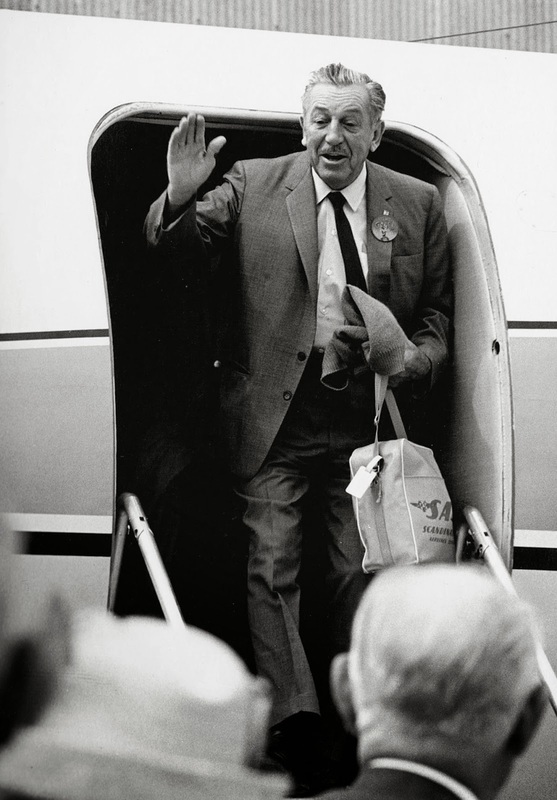 In September of 1964 Walt Disney made a stop over on his way home from Washington in Kalamazoo, Michigan. He was visiting his friend Donald S. Gilmore, who had invited a few guests. 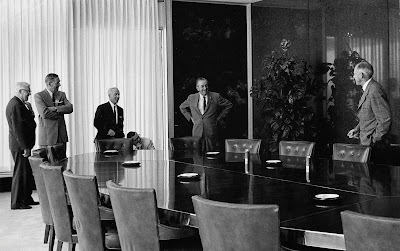 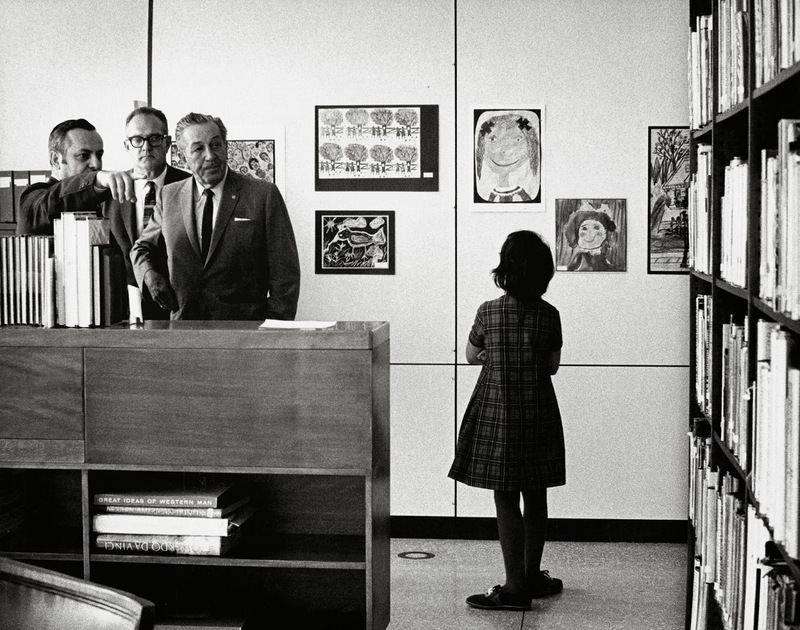 It's always great to see photos of Walt that are not staged, but of the moment. 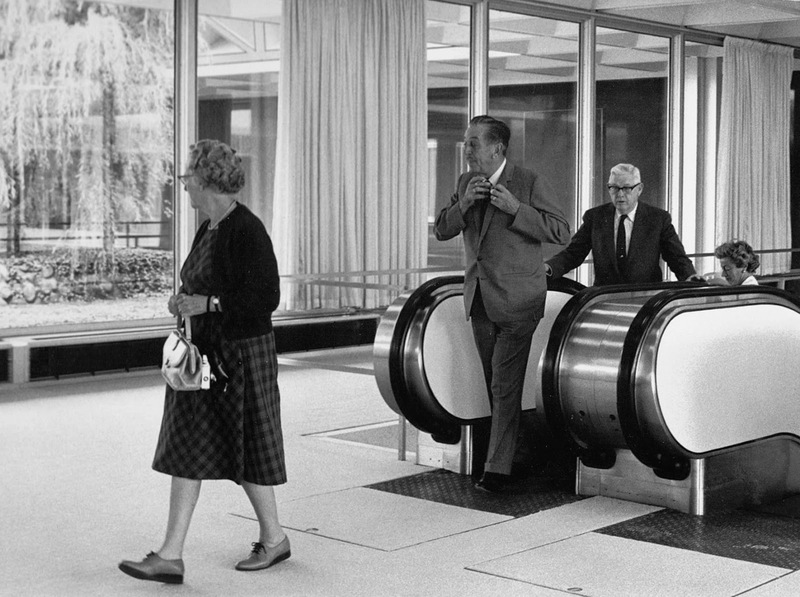 These photos are part of photographer Douglas Lyttle's album, which I purchased on ebay a while ago. 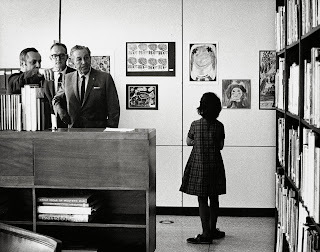 This little girl is more interested in looking at art class projects than meeting the famous guest. 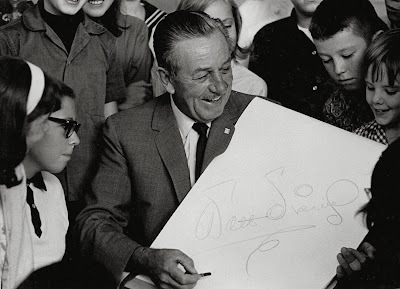 But eventually she ends up sitting in front of Walt, and after putting his signature on a large sheet, he gives her a big smile. 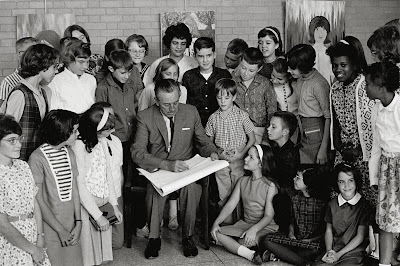 I would love to hear from any of these children present to find out what this visit from Walt meant to them.